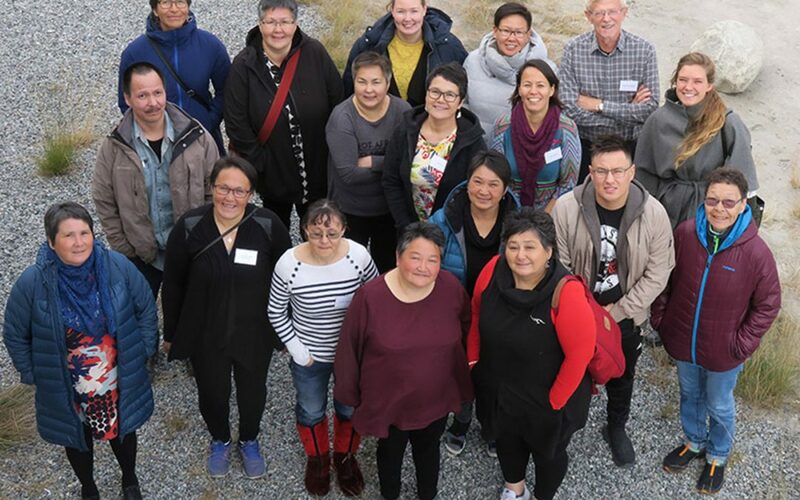 In association with the Greenland National Board of Social Services (NBSS), Fairstart recently conducted a start-up seminar in Kangerlussuaq for 17 committed and experienced professionals, now also instructor students. While studying attachment theory and group motivation in their online class they will each train a cross-professional group for 6 months: teachers, caregivers in residential care, and school homes. We are deeply impressed by their dedication to engage and teach children and youth. Their daily efforts enrich the life of the children and youth in spite of many challenges: a lack of teachers, educated staff, and the behavioural and emotional stress in high-risk children. Everyone involved work far beyond the limits of their profession in order to create secure relations for the children, using music, traditional skills and camp life as vehicles for relations work. But – the professional groups who are involved experienced a significant need for a common theoretical and professional foundation, and a mutual network that creates professional exchange, feedback and inspiration across different professions as well as across great geographical distances. Following an extensive research phase in May 2018, Fairstart has designed the education as a mutual online classroom. In eight modules, participants are educated as instructors in relations-based theory and practice, providing each other with support and feedback. Between each of eight modules in the education, instructors train their colleagues in local development groups. Thus the education becomes Greenland’s own, built in collaboration with the participants themselves: NBSS, leaders and professionals, the parents and their children and youth. The education and the training programmes used by instructors are in Inuit as well as Danish language. The themes are attachment theory, learning theory, class and group management, work with reactions to loss, how teachers can identify and work with learning difficulties, how relations work and child involvement can be performed in all aspects of daily life. They are illustrated with local examples and videos. At the end of each session, staff groups design work plans, developed by the participants, and includes their own experiences and competences in planning. Feedback after the start-up seminar confirms Fairstart’s basic assumption: training must involve all levels as active co-creators of quality care, and training programs must be in local language and design. In admiration for their great work, we thank them for their trust in our provision of quality care training.